This article was originally published in Independent Australia on 7 May 2015. IA was one of the first to spot and report on an aspect of Richard Di Natale overlooked by mainstream media — his playfulness. Deputy editor Sandi Keane hopes our poor psyches will get a regular dose of the Doc’s special medicine in his role as the Greens new leader. REPORTING ON the relentless negativity of Tony Abbott both in opposition and in government can sap the psyche of the most committed journo. So when a relatively unknown politician breaks through the rancour of the daily debate with a comedic take on a controversial policy (in this case, Labor’s carbon tax), Independent Australiacouldn’t resist sharing the moment with you. Senator Wong joined in the fun confirming that other major disasters such as the loss of the Ashes were similarly not caused by the carbon tax. As an Italian, food naturally figures large in Richard’s life. Dave Donovan‘s (IA’s managing editor) spirits were so boosted by the funster, Di Natale, he promptly published the entire debate on IA. Bingo! We can now rejoice in a leader of a political party with a sense of humour. How civilized! That much we do know about the new Greens leader, so let’s explore further. Senator Richard Di Natale was the son of Italian immigrants whose mother and grandparents left their small village of San Marco in southern Italy with the hope of a better life in Australia. Richard’s Sicilian father worked as an electrician and his grandfather ran a grocery shop in Brunswick. Senator Di Natale was the first Victorian Greens Senator, elected in 2010. Prior to entering politics, he was a general practitioner and public health specialist. The way Richard wanted to repay the debt was to help bring a positive change to people’s lives. Prior to entering parliament, Richard worked in Aboriginal health in the Northern Territory and on HIV prevention in India as well as the drug and alcohol sector. In his maiden speech, he talked about his friendship with a young Aboriginal boy suffering from kidney failure. To keep him alive meant pouring several litres of fluid into his abdomen four times day. It was no surprise when Richard paid his own pay to Sierra Leone and Liberia toreport back during the peak of the Ebola crisis. Richard has been no slouch when it comes to public health. He secured almost $5 billion towards Medicare-funded dentistry and won a campaign to divest $250 million worth of tobacco stocks from the Future Fund. He also spearheaded senate inquiries into key public issues such as dying with dignity, superbugs, hospital funding, budget cuts, medicinal cannabis, air pollution, pharmaceutical transparency, sports science and gambling reform. Richard, his wife Lucy and two young sons live on a working farm in the glorious foothills of the Otways where he oblingingly complies with Italian tradition by making his own vino and olive oil. 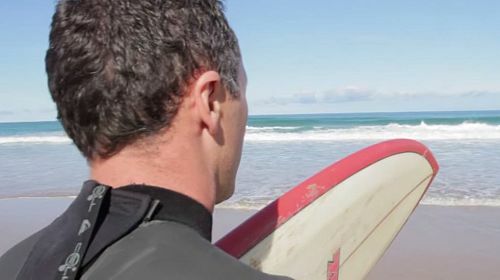 A bonus for Richard is that it’s close to Victoria’s famed surf beaches where he’s become a keen surfer following a knee injury which forced him to give up VFA football. The Greens’ new leader said he joined the Greens because the party offered a progressive, compassionate and optimistic vision for the future — rather like the man himself.